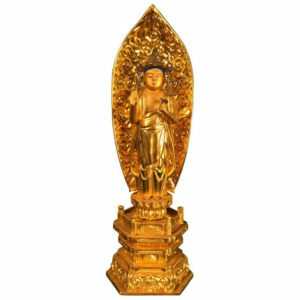 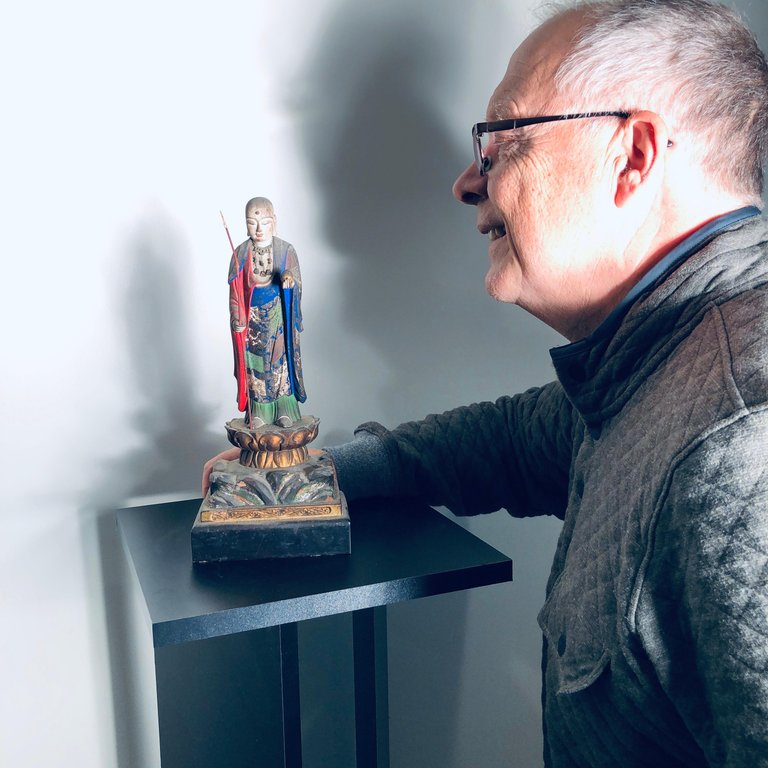 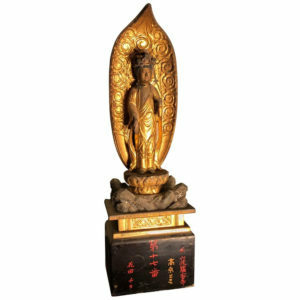 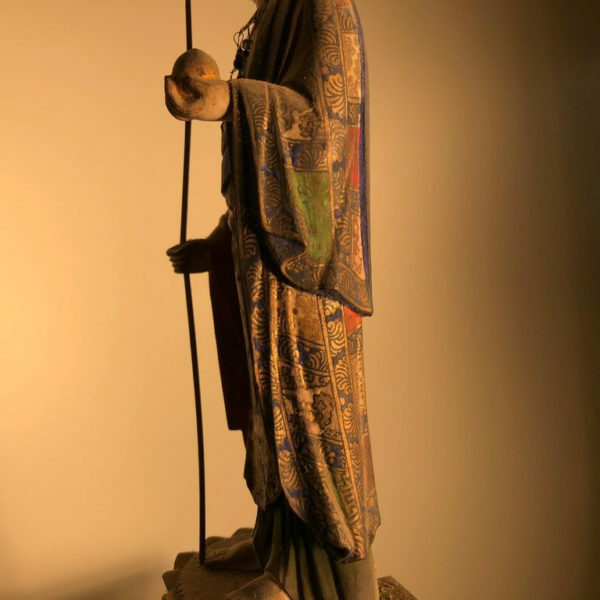 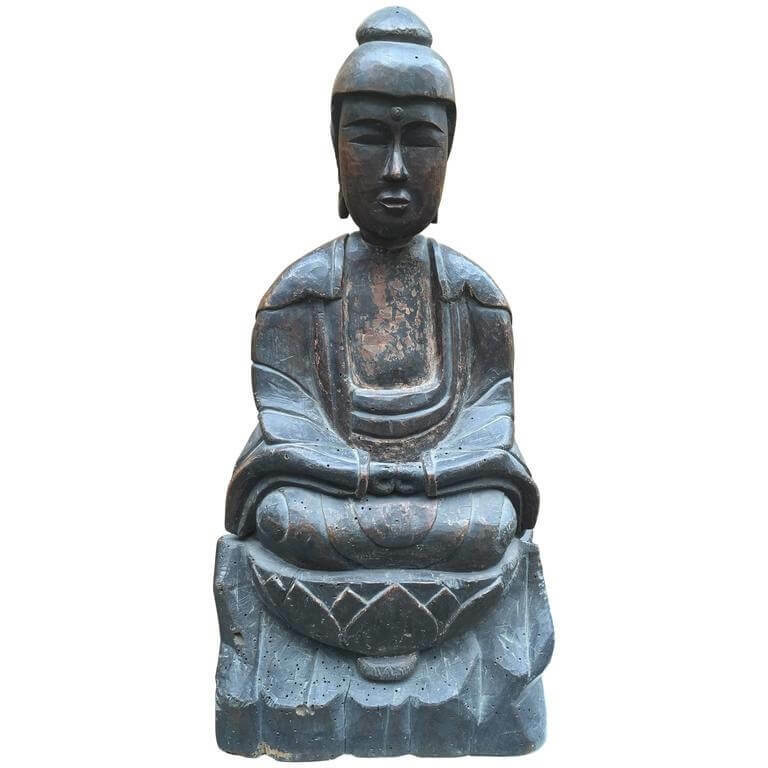 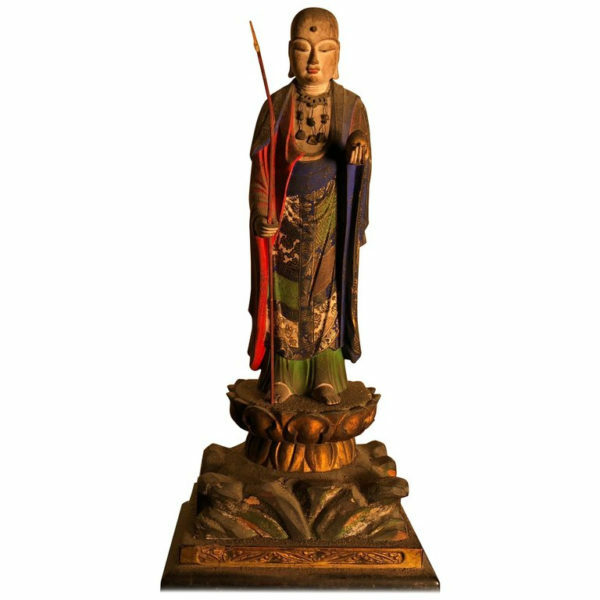 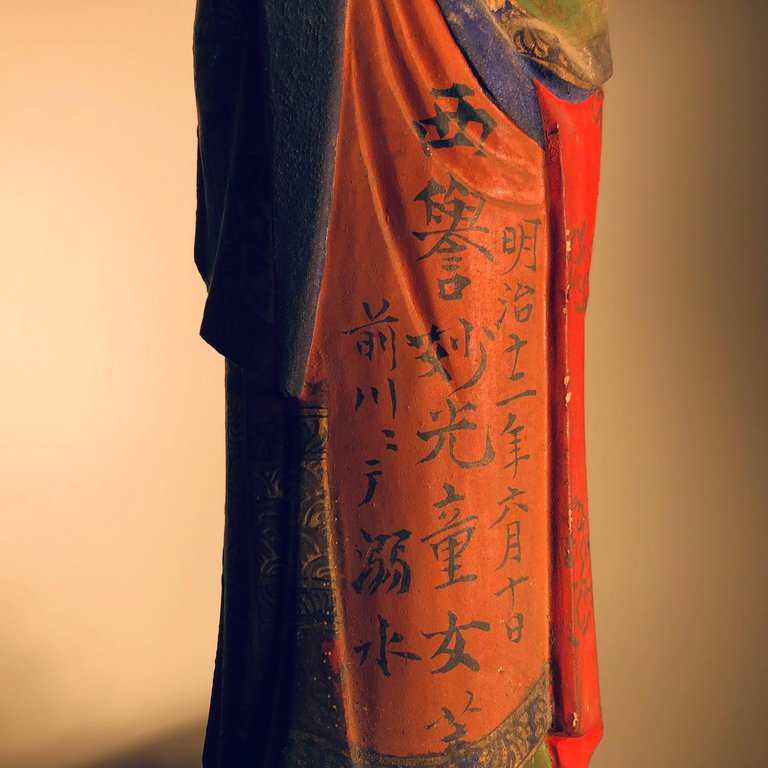 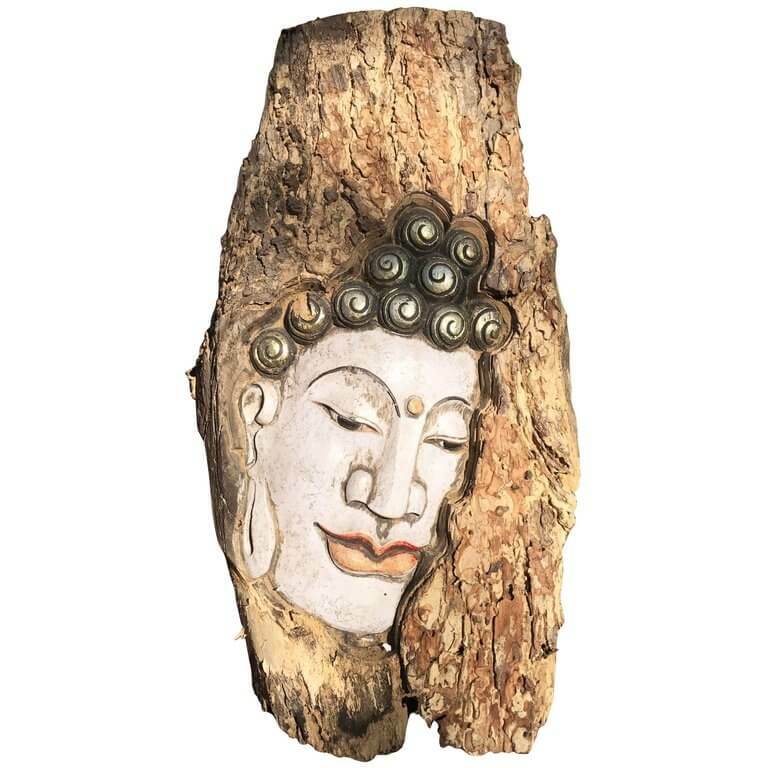 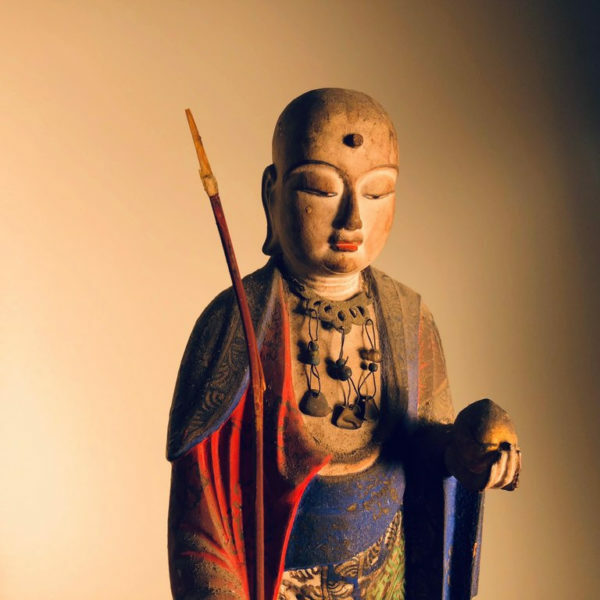 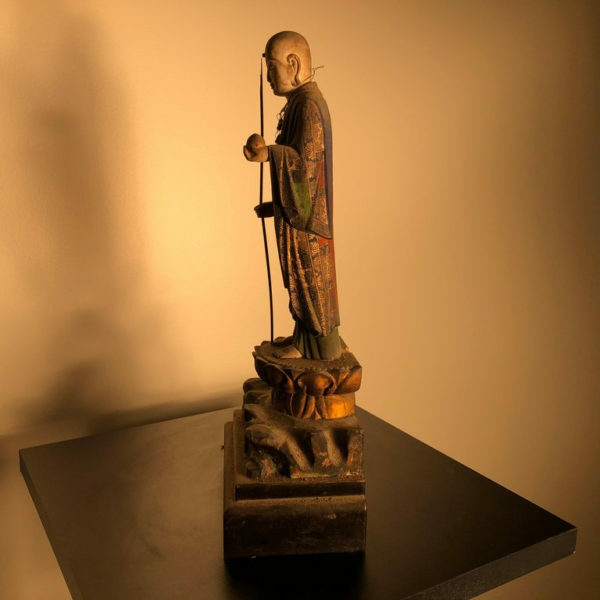 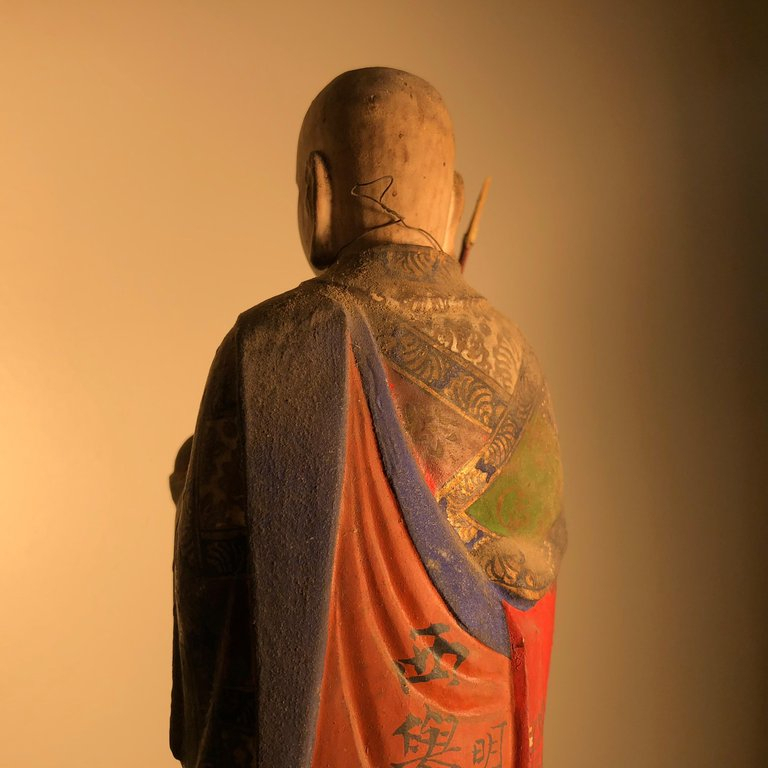 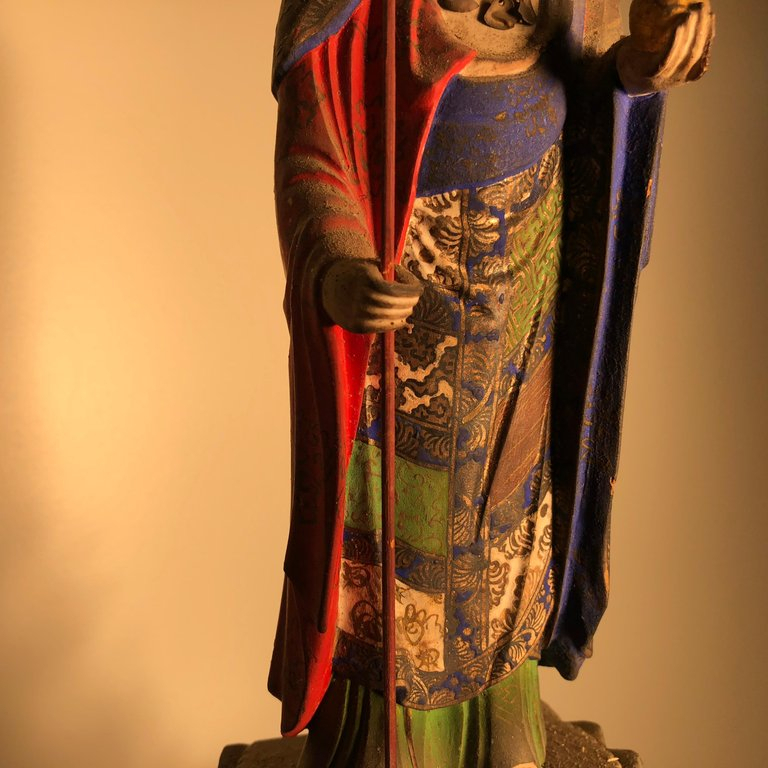 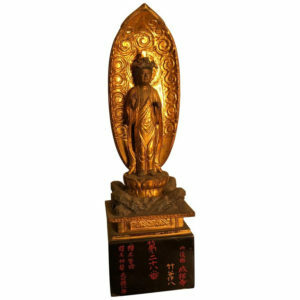 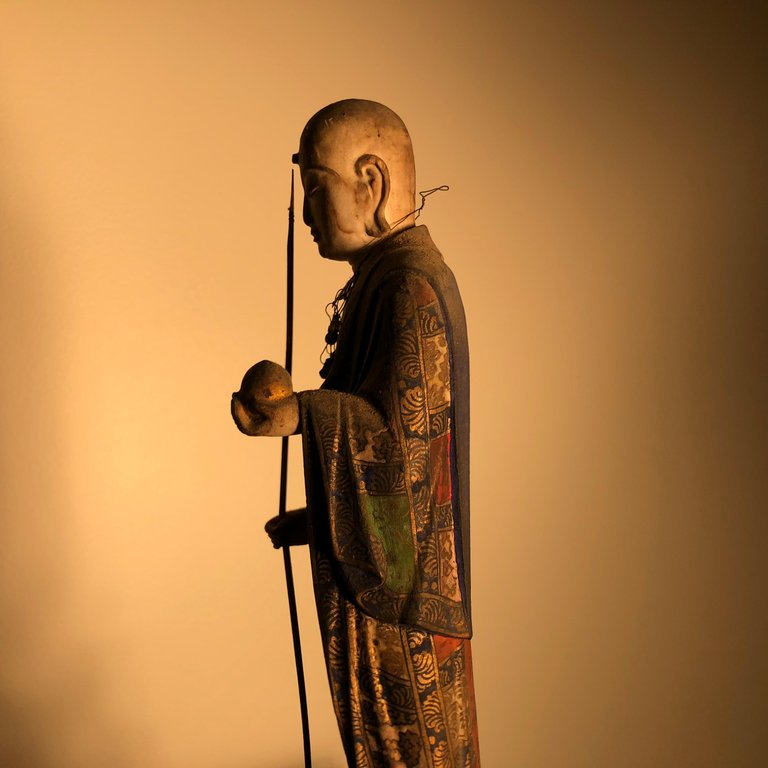 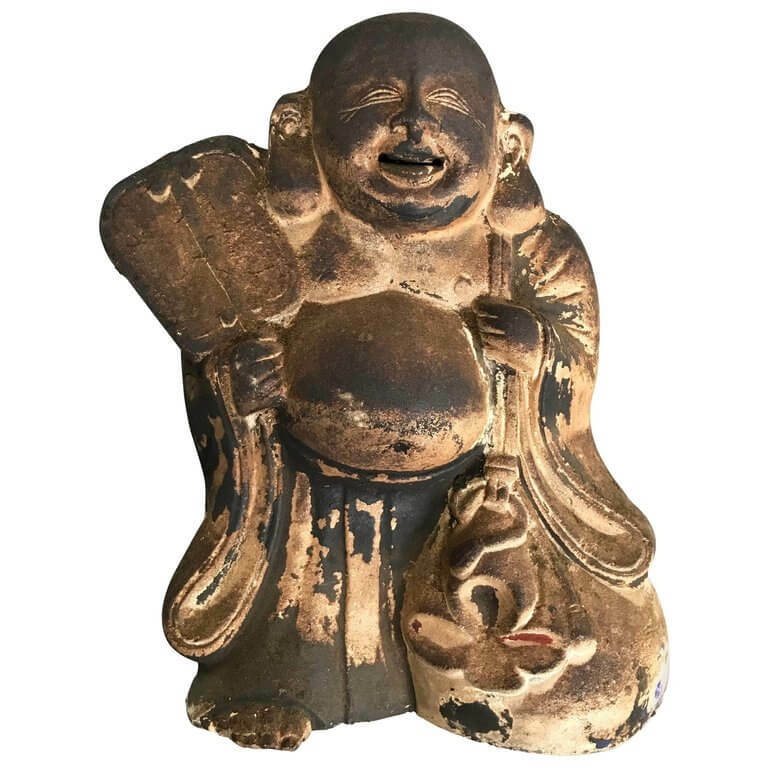 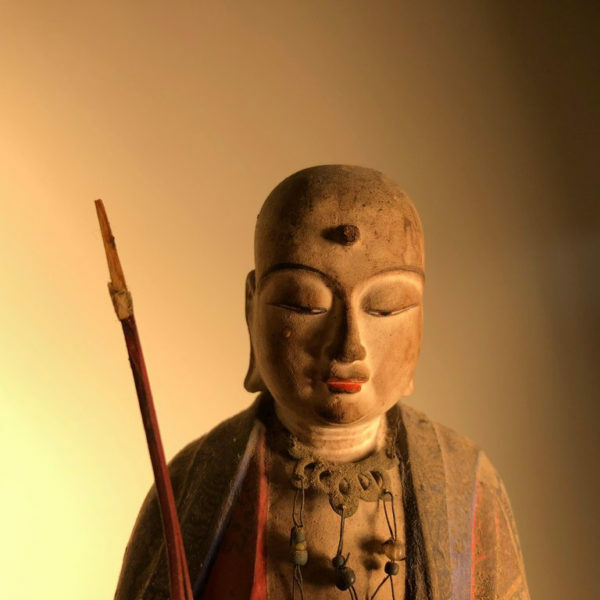 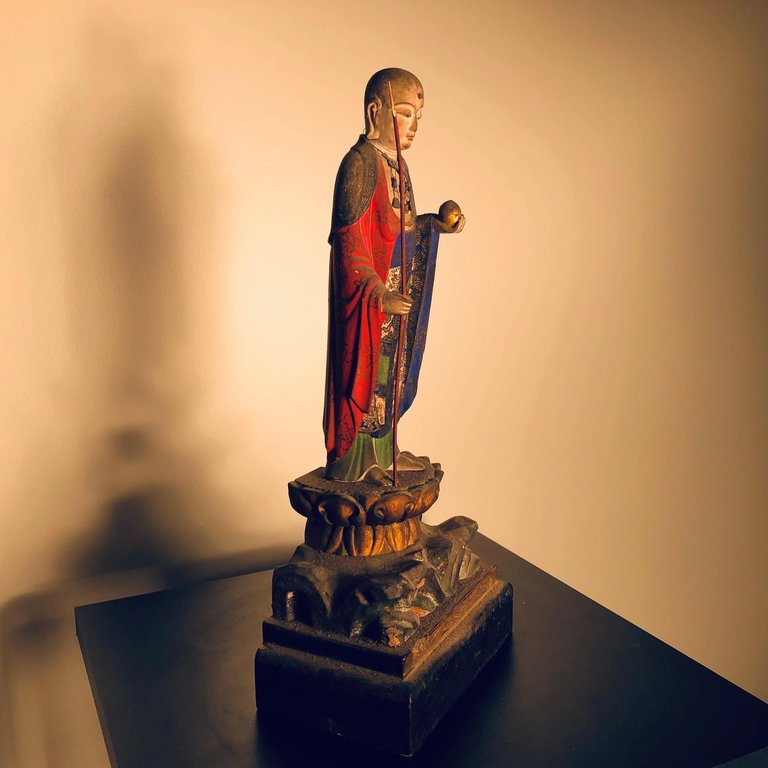 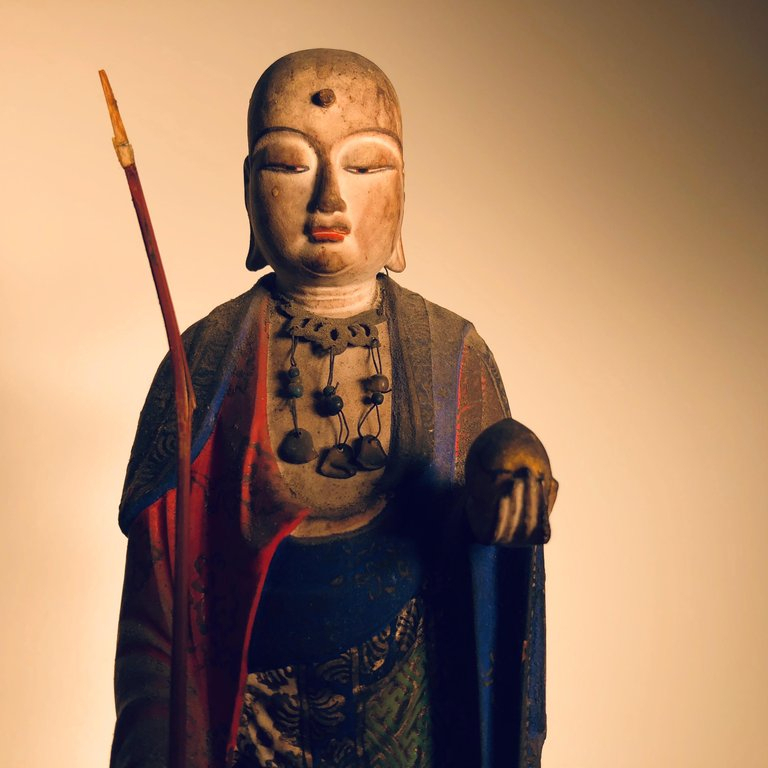 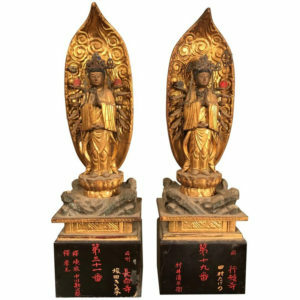 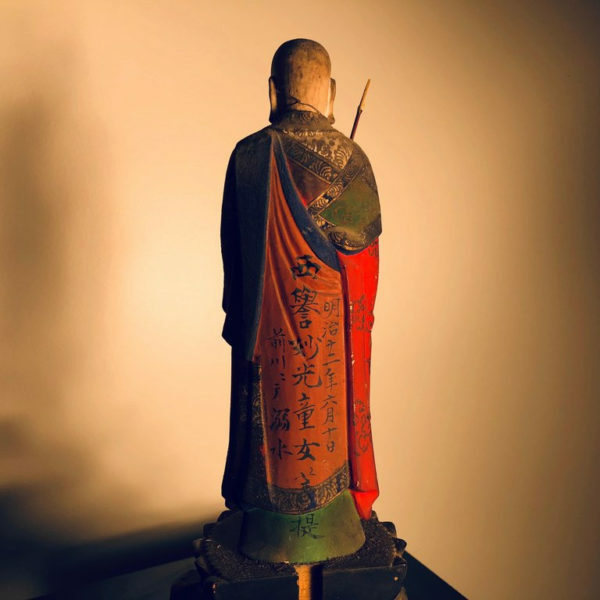 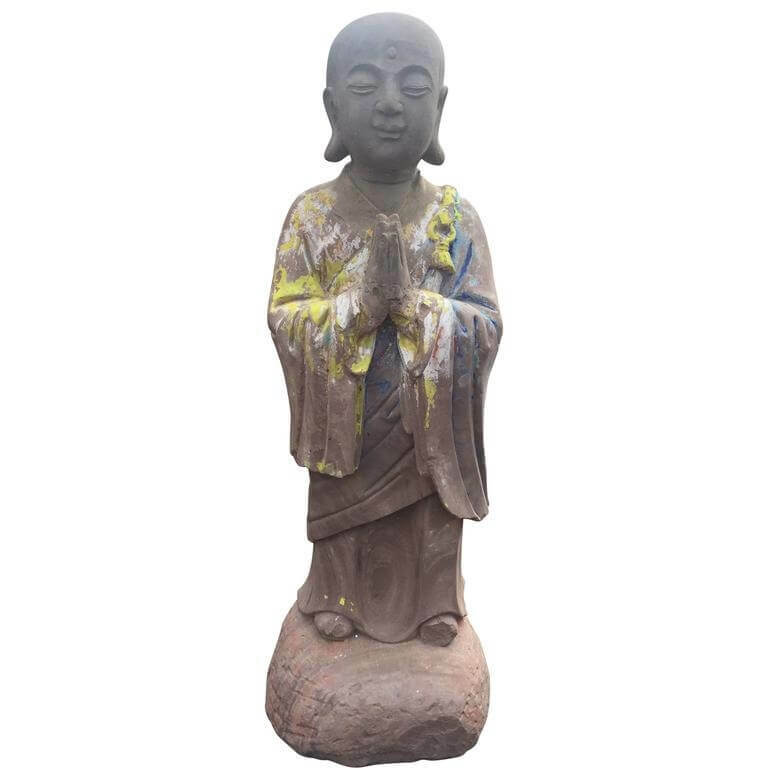 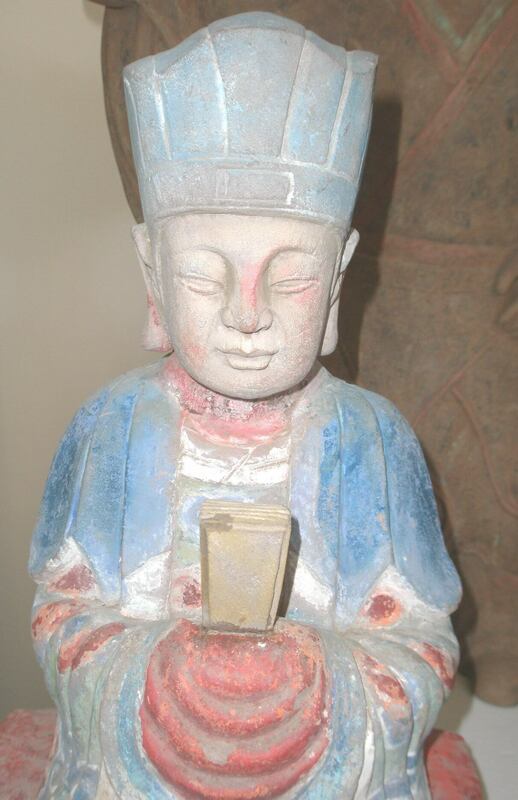 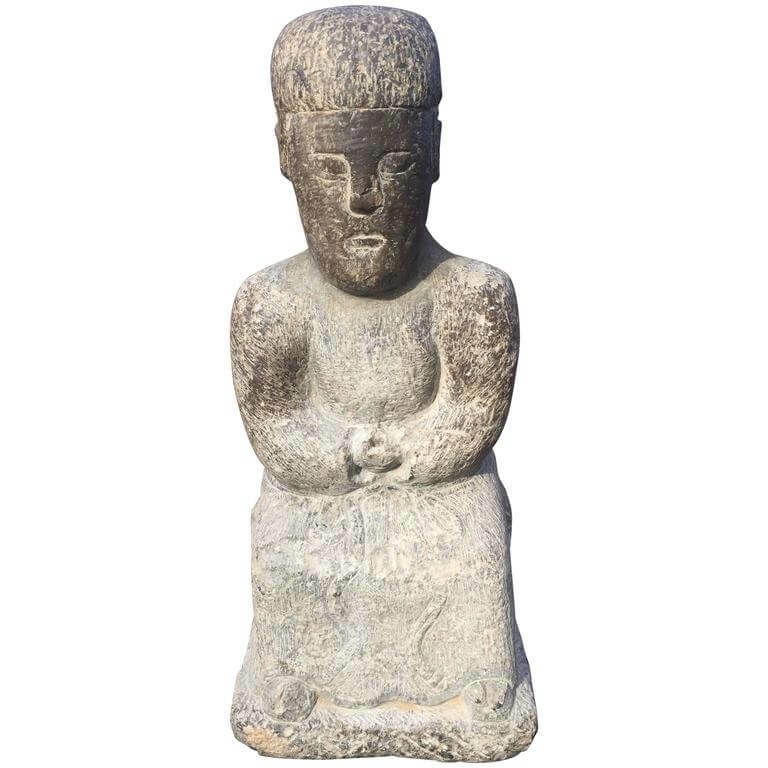 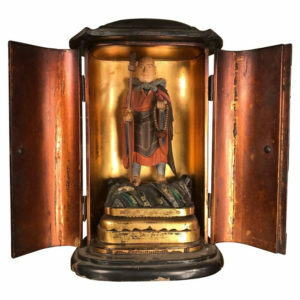 A fine and handsome Japanese Buddhist holy man , lohan, figure standing tall with staff and clutching the wish granting jewel- all hand painted and lacquered in vibrant colors. 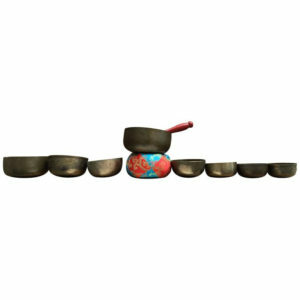 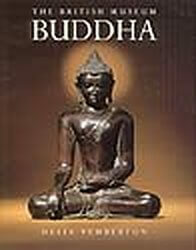 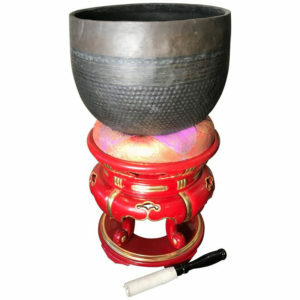 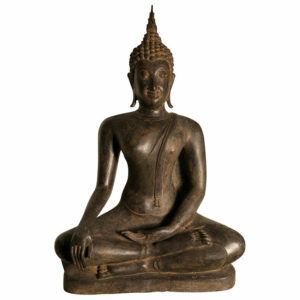 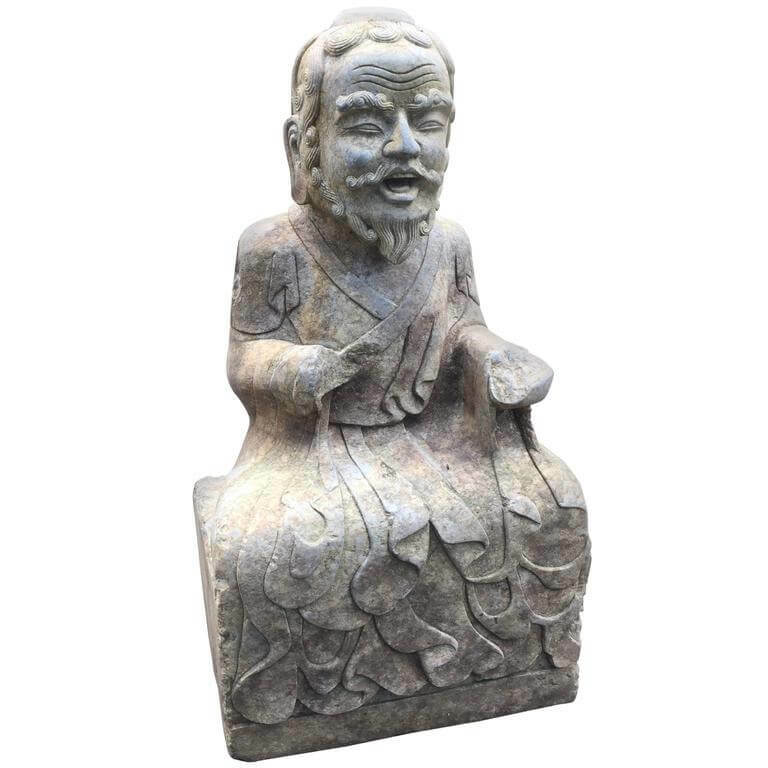 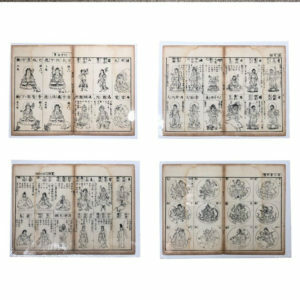 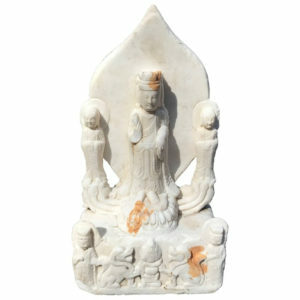 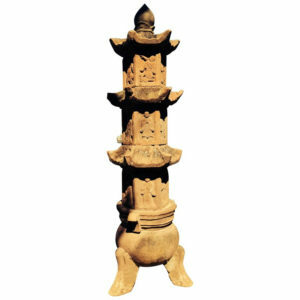 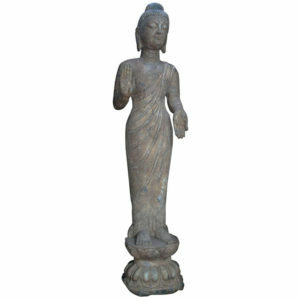 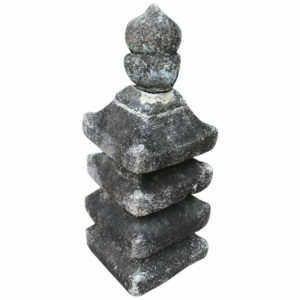 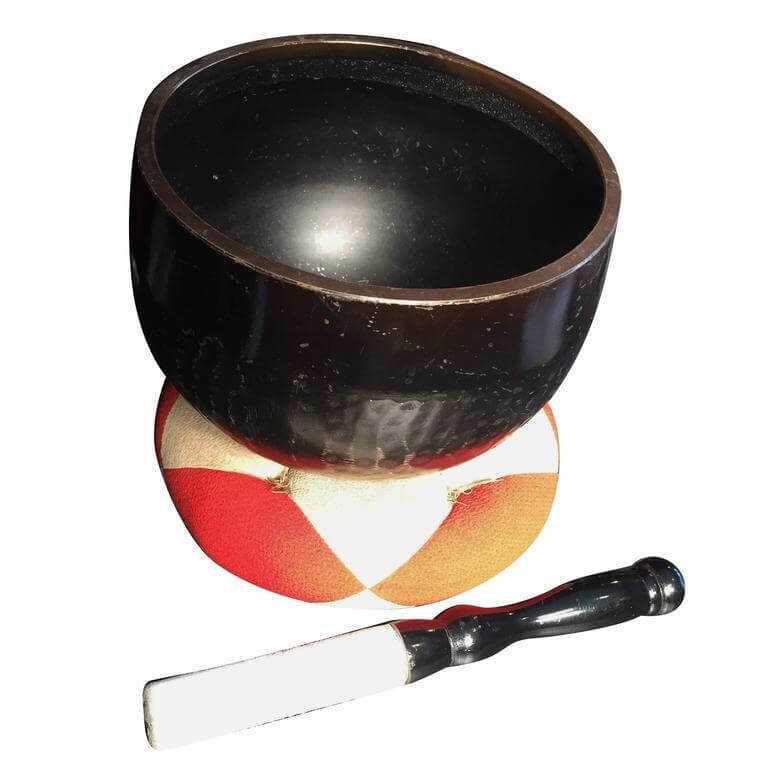 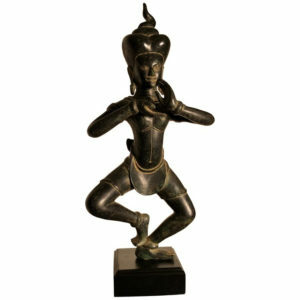 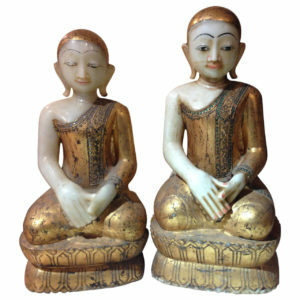 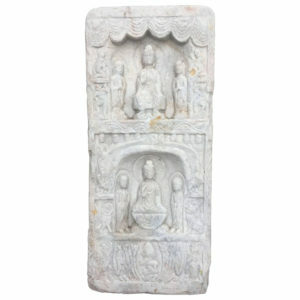 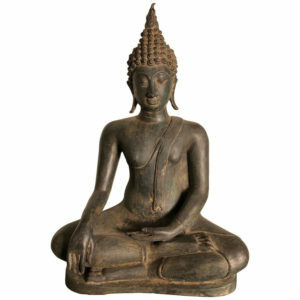 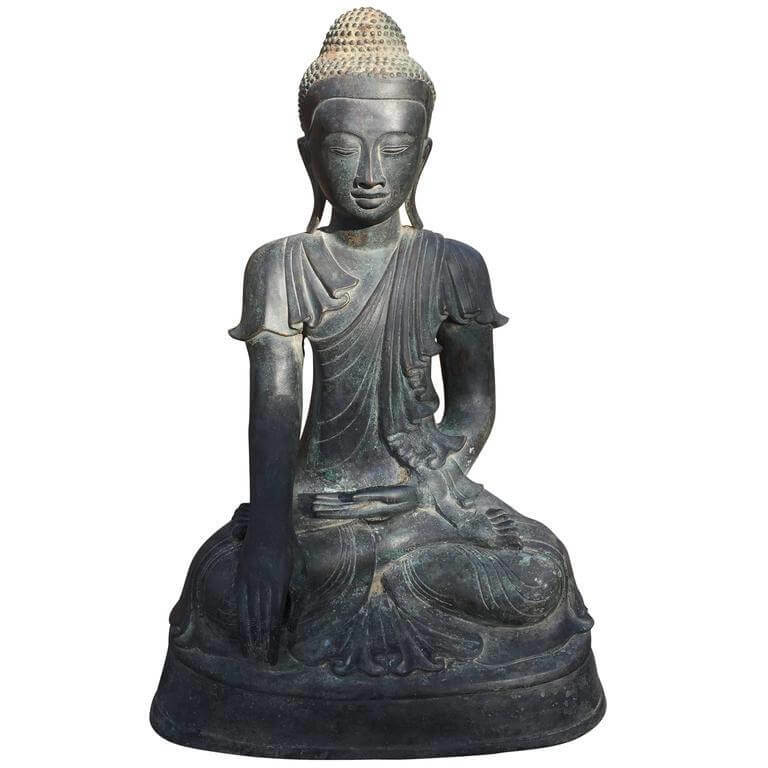 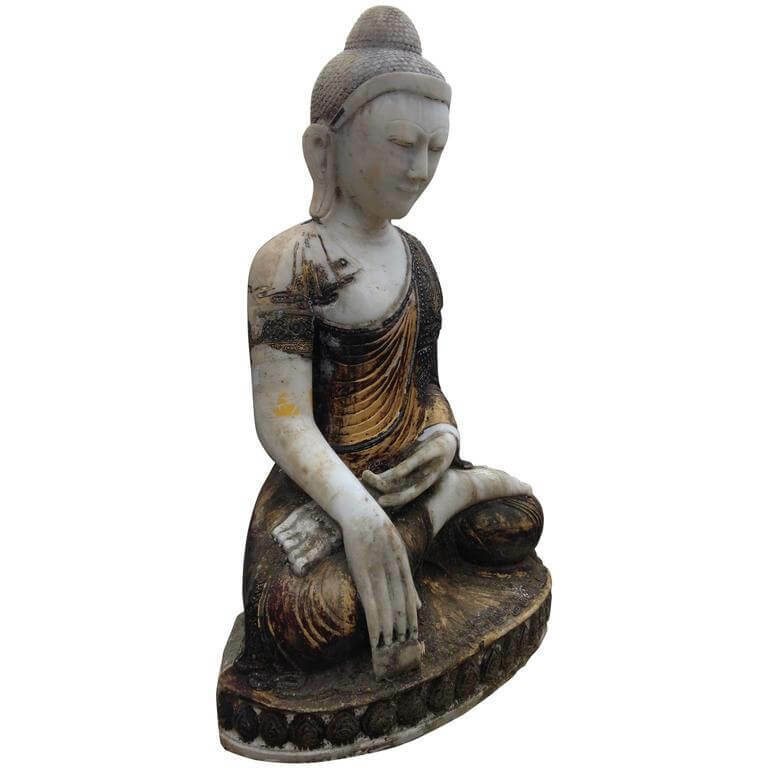 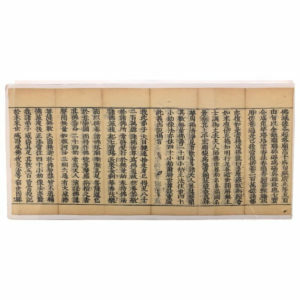 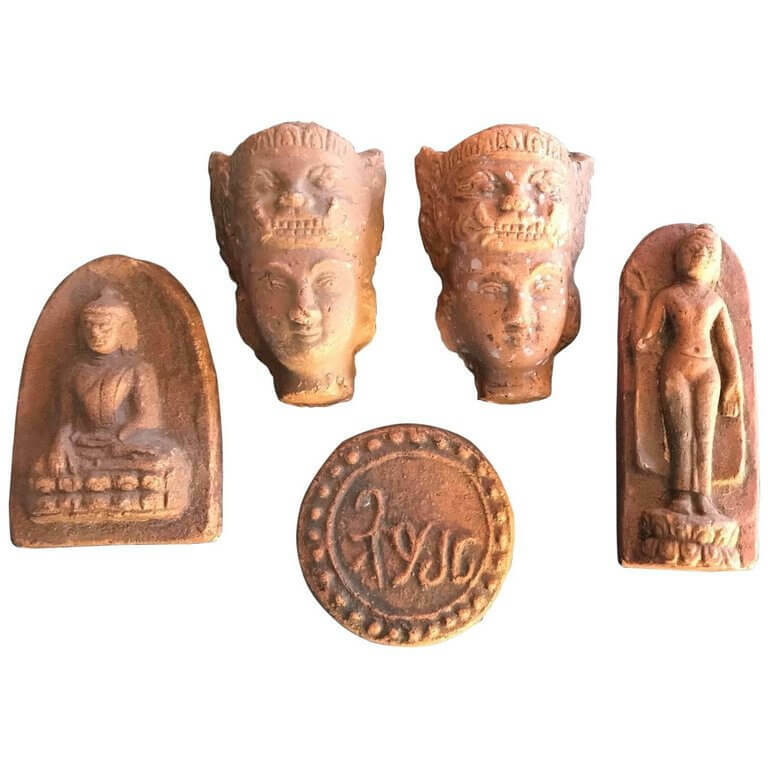 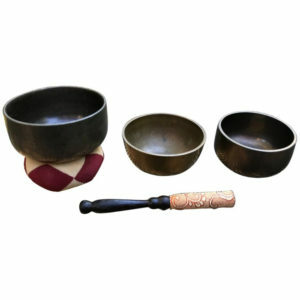 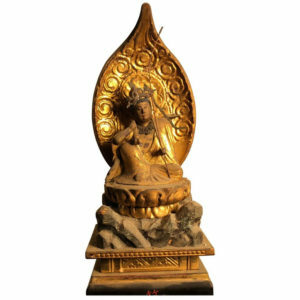 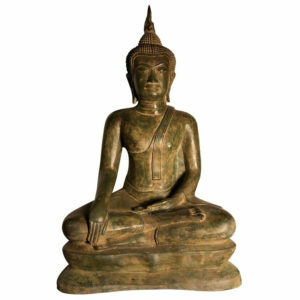 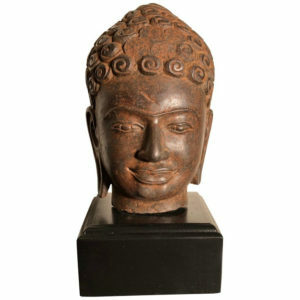 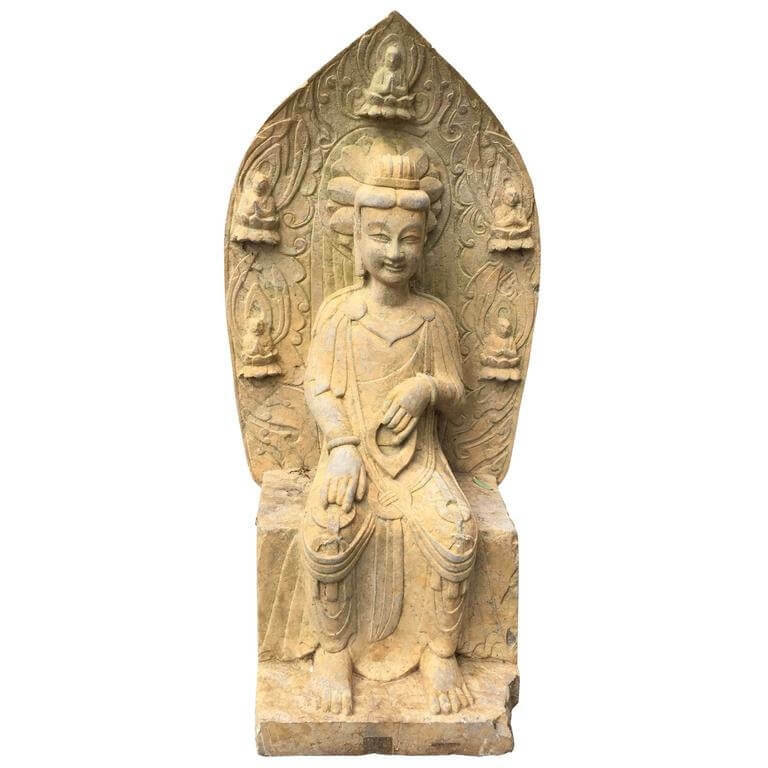 The holy man, a lohan or Buddha messenger and decsciple, wears an elegant and colorful wardrobe set a top a lotus base. 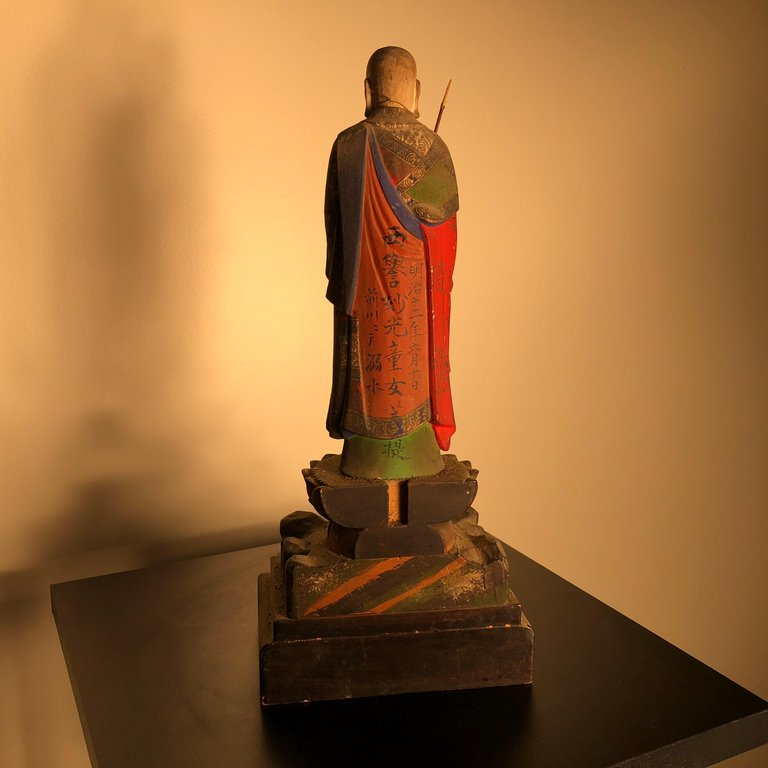 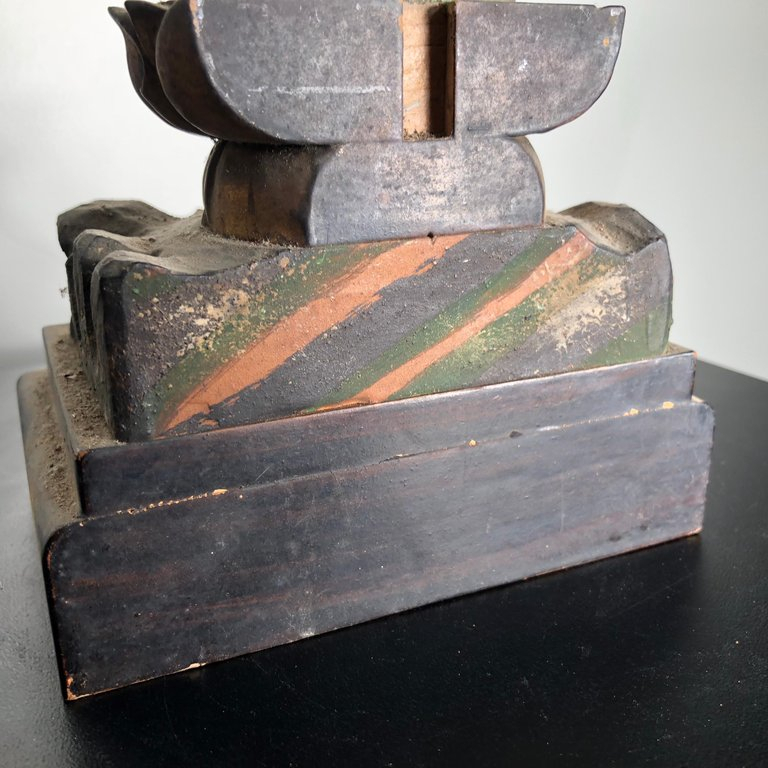 The lacquer and its meticulously carved rock out crop symbolized base is an exquisite example of the revival of traditional crafts from the early Edo period. 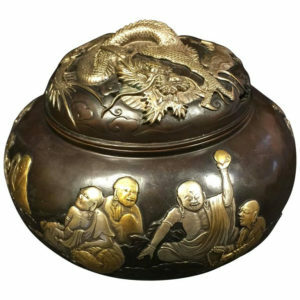 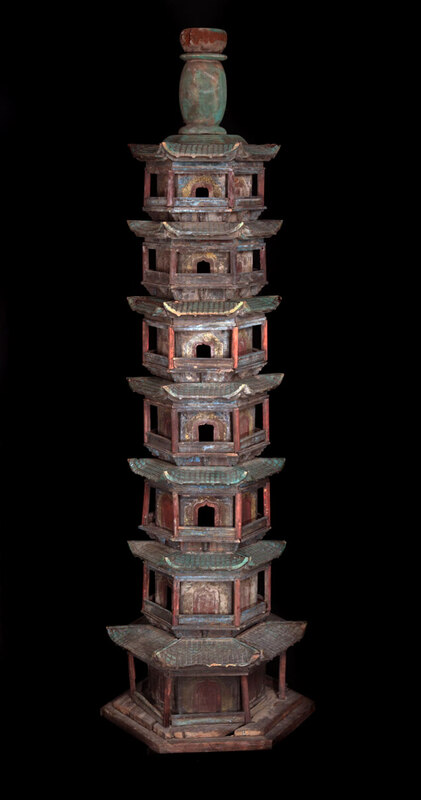 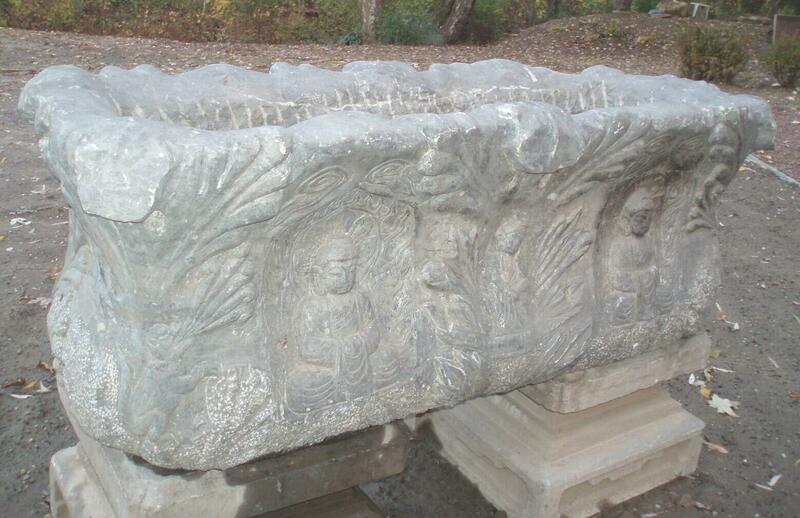 The surfaces are covered with black lacquer and sits a top a gilt throne style base.